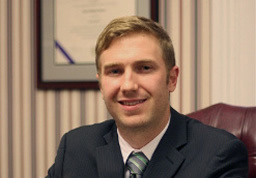 Welcome to the website for Spears and Associates, a family-owned law firm in Ironton, Ohio. 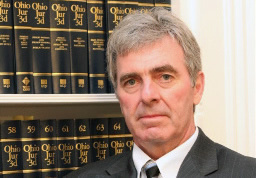 Our firm has provided legal representation to Southern Ohio and the surrounding tri-state area since 1948. We represent clients in cases of workers' compensation, personal injury, social security disability, estates/wills, and certain real estate matters. At Spears and Associates, we pride ourselves on excellent customer service, and we strive to give your claim the personal attention necessary to meet your expectations. Our law firm is well-known and respected, and our attorneys are dedicated to the goal of attaining the best result possible for each individual client. We place our clients' interests first and foremost. It is our goal to reduce the stress which can be associated with legal issues and provide professional guidance throughout the legal process. Once a claim is filed, there can be multiple issues which must be resolved at hearing before the Ohio Industrial Commission. Without proper legal representation, injured workers can compromise their claim at these hearings. There are 12 Industrial Commission field offices throughout the state. The majority of our workload is at the Portsmouth, Ohio field office. The Portsmouth, Ohio field office covers the following Ohio counties: Ross, Highland, Pike, Adams, Scioto, Jackson, Gallia, and Lawrence. We strive to be the premier workers' compensation firm in this region. When it comes to workers' compensation, we know that there are many firms from which to choose. If you believe that you may have a workers' compensation claim, or if you need assistance with your current workers' compensation claim, please let us discuss your options with you. Our initial consultation is free of charge. At Spears and Associates, a high percentage of our workload is in the Ohio Workers’ Compensation field. However, our attorneys are also practiced in several other areas of the law. In some instances, Ohio Workers’ Compensation claims are the result of the negligence of a third party, and the cause of action against the third party is outside the employer/employee relationship. At Spears and Associates, we represent clients in cases of workers' compensation, personal injury, social security disability, estates/wills, and certain real estate matters. Request a FREE Consultation today by calling 1-800-443-7943 or filling out our form.